Skydiving is one of the most exciting and unforgettable experiences we offer; you simply believe the rush of adrenaline that courses through you as you jump from a plane that's over 10,000 feet in the air! We offer superb skydiving experiences throughout the UK, so you won't have to travel very far to experience the unrivalled rush of a skydive! 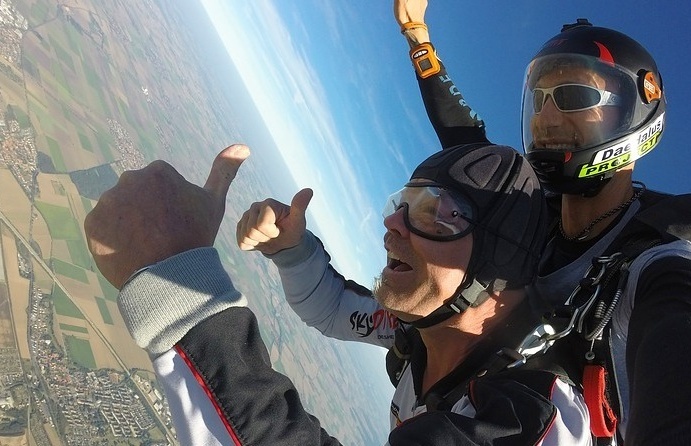 A tandem skydive is the perfect experience gift for anyone with a love of extreme sports and serious excitement, so if you are looking for the perfect present for a daredevil or adrenaline junkie in your life, look no further than a UK skydive experience! 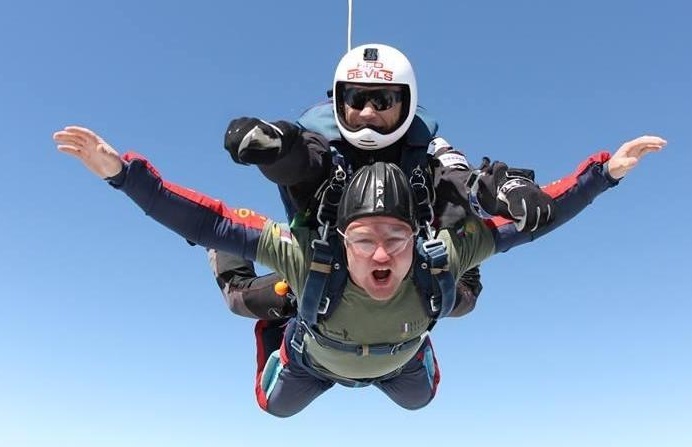 Few experiences can match the incredible feeling of a skydive, and with our huge selection of skydiving experiences throughout the UK, it's never been easier to try it out for yourself and experience that freefalling feeling. We have AFF skydiving courses and tandem skydive experience days available from Devon to Durham, so you won't have a problem finding a skydive to suit you! 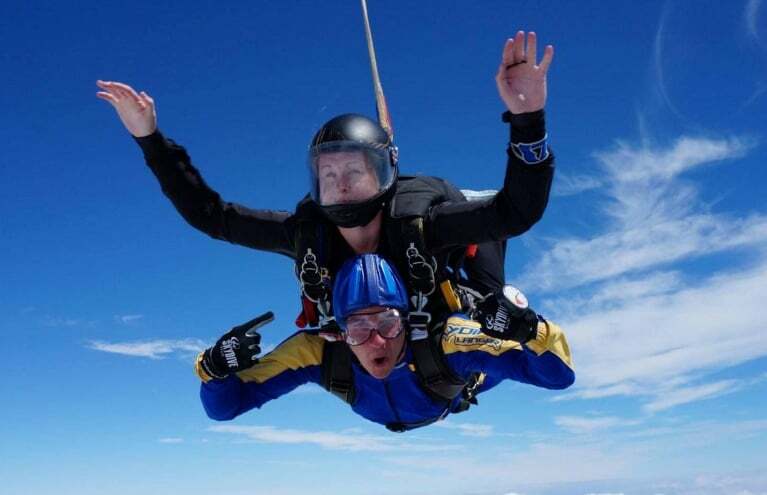 If you're looking for a truly memorable gift idea for someone special in your life, a skydive gift voucher is something they are absolutely guaranteed to remember forever. 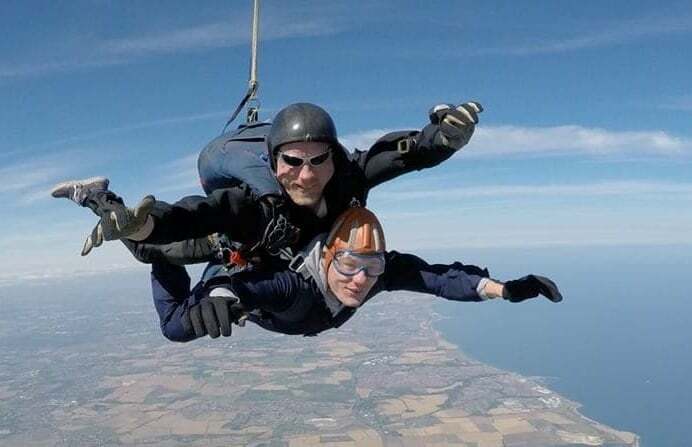 Wherever you choose to skydive in the UK, you are sure to be absolutely amazed by the patchwork landscape below you that looms ever larger as you freefall towards it, but we do offer skydives in some particularly beautiful locations throughout the UK. 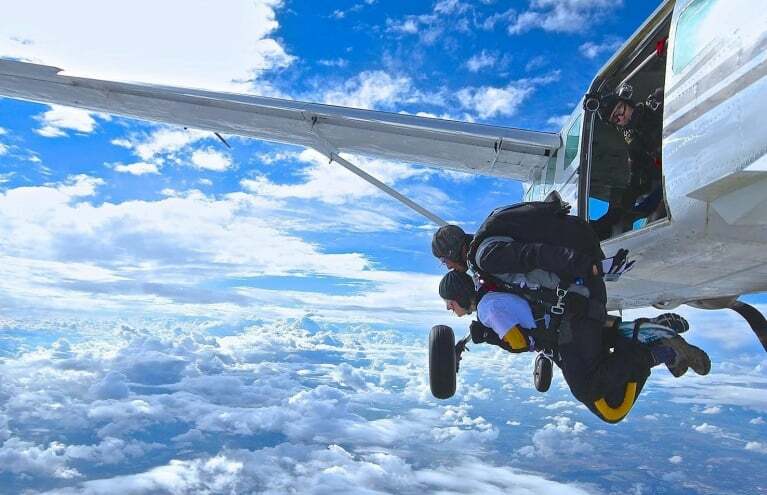 Our Lake District Skydive in Cumbria gives you all the thrills of skydiving combined with incredible views of of of the UK's most spectacularly beautiful regions. You'll jump from a mind-boggling 14,500 feet, giving you plenty of time to soak in the stunning views of those beautiful blue lakes below. Our Cornwall skydiving location at Perranporth is another outstandingly beautiful skydiving location. 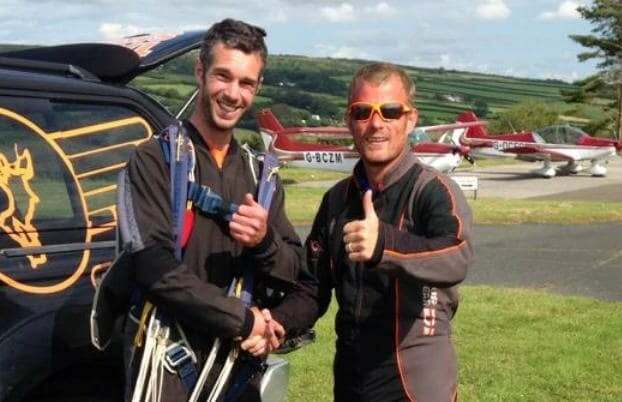 This skydiving spot is right down at the point where Cornwall meets the Celtic sea, so once you've gotten over the initial mind-blowing feeling of jumping out of a plane, you'll realise that you are freefalling over the famously gorgeous Cornish coastline with it's beautiful beaches and wild waters! Just perfect for adding a little beauty to this beast of an experience! Of course, if you want more height - and longer freefalls - from your skydiving experience, we have just the thing for you too! 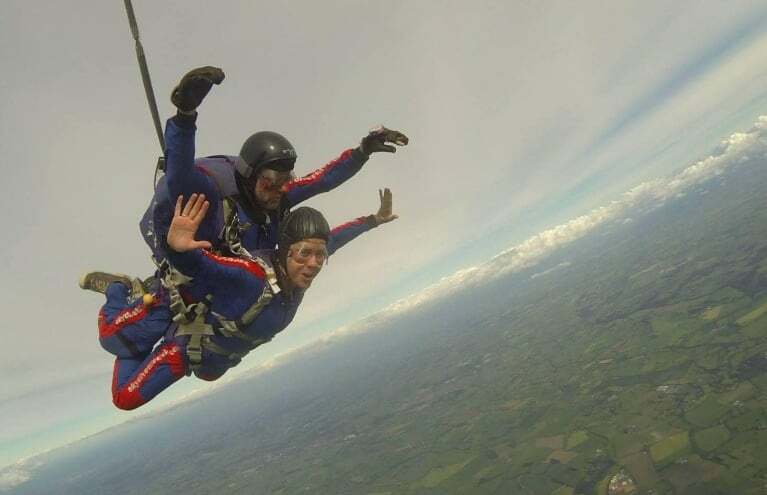 We offer the highest skydive in the UK at our Lincolnshire skydiving centre, which allows you to experience freefall from fifteen thousand feet! A skydive from this altitude offers you approximately a full minute of freefall before your parachute is finally deployed to help you float gently back to terra firma. As truly terrifying as this might sound, you will always jump safe in the knowledge that you are in the hands of professional and qualified skydive instructors who will make sure you are as safe as possible at all times! For those looking to do a solo jump without the need for a full course, you could take an unforgettable static line parachute jump and get ready for one truly immense day in the skies, and a lifetime of incredible memories! You will learn important basics in the classroom before taking to the skies for a magnificent jump from a plane - solo! 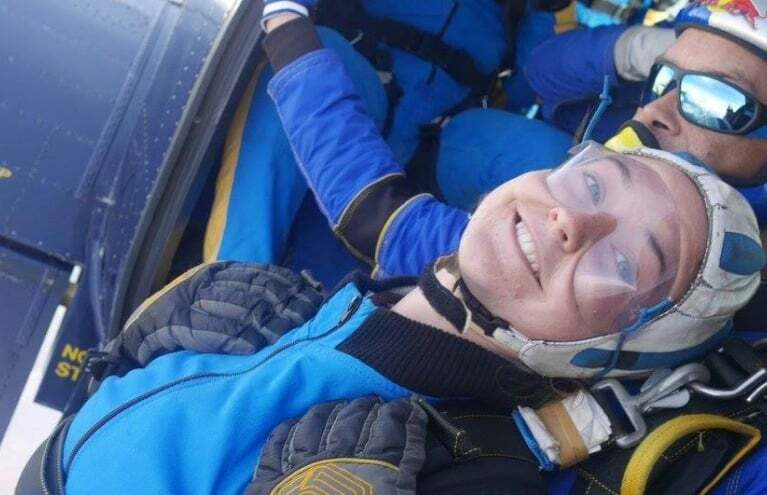 No matter where you are in the UK, or how extreme you want to get, you are sure to find the perfect skydiving experience - so what are you waiting for?! Is there a minimum age for Tandem Skydiving? According to the BPA (British Parachute Association) guidelines, the minimum age for skydiving in the UK is 16 years. Anyone under the age of 18 will require a parent or guardian to witness and sign their compulsory health declaration prior to taking part. 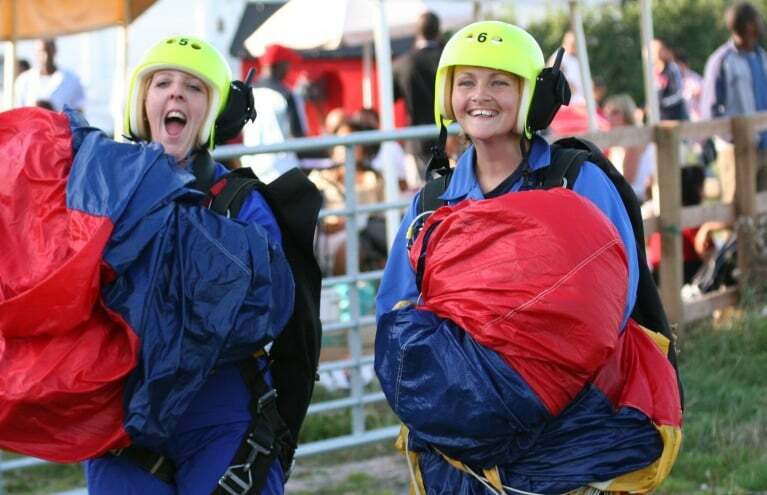 What height are Tandem Skydives in the UK? 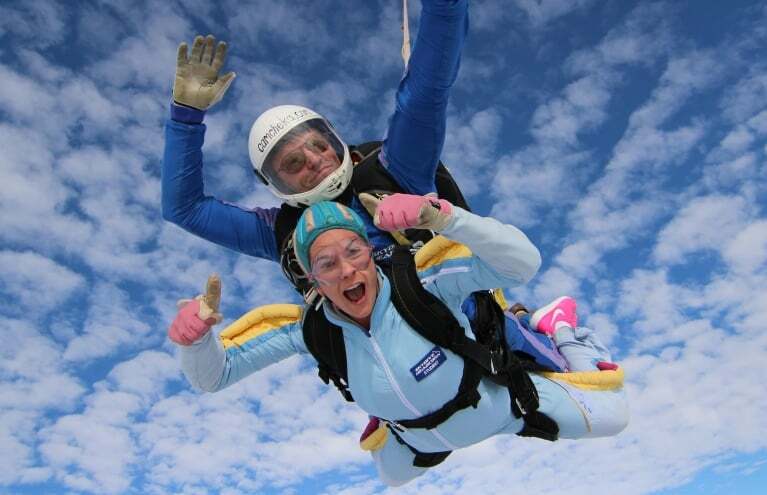 Tandem Skydives in the UK vary in height. Average heights for each centre are as follows: 10,000ft (Cornwall and Durham), 12,000ft (Kent), 13,000ft (Cambridge and Nottingham), 15,000ft (Lake District & Lincoln). Does my Tandem Skydive include a video or photos of the experience? Each skydiving centre will have the option to purchase additional photos or video footage of the Tandem Skydive experience, upon making a booking. Prices will vary from location to location but can cost between Â£85 to Â£155 (approx).